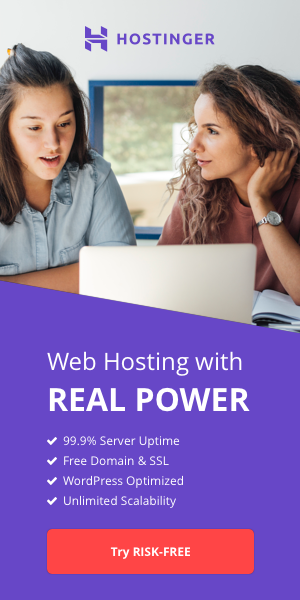 HostSearch interviewed Felipe Cruz Ferrero, CTO at RackNation - one of the Costa Rica's leading web hosting service provider. FELIPE CRUZ FERRERO: Sure, my name is Felipe Cruz, im the founder and current chief technical officer at Racknation DataCenter in Costa Rica. I have a degree in systems Engineering and have worked in both software development projects as well as all the infrastructure planning in Racknation. HOSTSEARCH: How long has the company been in operation and how long have you been with the company? FELIPE CRUZ FERRERO: Ive been with the company since the very start, we started the project in 2006 with a clear Saas direction, at that time we had some very specific platforms that we were serving from our datacenter but we decided to shift direction and open our services to the general public with typical colocation, dedicated servers and our public cloud deployment. We officially deployed the Racknation brand in 2012. 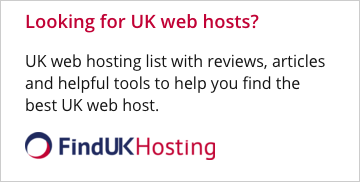 HOSTSEARCH: What is your core web hosting product? Which one is the best selling product? FELIPE CRUZ FERRERO: As a rule of thumb, Cloud Servers provide the biggest head count in regards to our client base, the Cloud really has helped us to achieve a critical mass of clients that allows us to develop other business fronts which are of big interest to us. HOSTSEARCH: Can you tell us about RackNation's data center in Costa Rica? FELIPE CRUZ FERRERO: Our datacenter has been developed using a 700 squared meters building in the east side of San Jose, Costa Rica, we are a micro datacenter currently offering a total capacity of 400KVA and 30 Rack units. HOSTSEARCH: As you are the CTO of RackNation, can you give us a quick tour of the company's facilities? FELIPE CRUZ FERRERO: For sure, our datacenter is separated in 3 layers, our core infrastructure where all our fiber optic paths land, this is where you will find all our border routers and switching equipment, from this area we uplink via redundant fiber paths using portchannels to our Cloud area. Our Cloud room hosts all hypervisors, storage SANS (we use equallogic and Nimble storage) as well as our Cloud orchestration equipment. On our colo room we host all dedicated servers as well as colocation clients and private suite clients where we offer enclosed rack units with limited access for more security savy clients. Our datacenter is monitored by our NOC staff which resides on floor number 1. All areas are monitored by a security company via video closed circuit as well as controlled entry areas. HOSTSEARCH: As the data of the customers are valuable, what are the backup solutions that you provides to the customers? FELIPE CRUZ FERRERO: We have been using a blend of applications and storage solutions in essence cause not all backup solutions fit some specific needs. Overall R1 has been our work horse for backup deployments using block containers with Equallogic and Synology NAS devices. We also use extensively SQL SAFE for backing up enterprise SQL servers and Veam backup for some virtualization environments. HOSTSEARCH: Can you please explain how Rackspace works? And what are the benefits of this solution? FELIPE CRUZ FERRERO: Rackspace provides de client autonomy, as a datacenter we offer a space where you simply bring your equipment and within minutes you are getting the benefits of redundant power distribution units, redundant cooling for your equipment and last but not least premium bandwidth with redundant connectivity. In essence for a very affordable pricing you gain all the benefits that would literally require a huge monetary investment in case you decide to do on your own. Rackspace clients in Racknation are usually advanced users that know what they are doing in terms of configuration. HOSTSEARCH: RackNation uses BGP system, what are the advantages of this system? 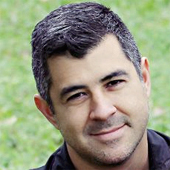 FELIPE CRUZ FERRERO: In essence any respectable datacenter needs to have their own routing & autonomous system and that’s where BGP as a protocol takes place, we try to maximize BGP with our specific IPSLA scripts in order to automate routing changes in a more proactive way than BGP normally does. Deploying BGP with our autonomous system (ASN) and our multiple uplink carriers is the base of our stability. We currently peer with main costa rican carriers as well as major peer 1 carriers like Hibernia Networks, Sprint, Columbus Networks and Cogent. HOSTSEARCH: What are your goals and where do you see RackNation in the future? FELIPE CRUZ FERRERO: Our immediate goal is to keep growing our business with international clients, we have a solid costa rican client base and have been growing exponentially with international clients, we are really interested in the deployment of more advanced solutions that differ us from the classical hosted offers our there. Clustered environments, load balanced advanced solutions and enterprise email solutions are among a few things I can mention that we are currently investing both time and resources. HOSTSEARCH: We are looking forward to see your success. Thanks again for giving us an opportunity to talk with you today! FELIPE CRUZ FERRERO: Much appreciated! , thanks for the opportunity guys.